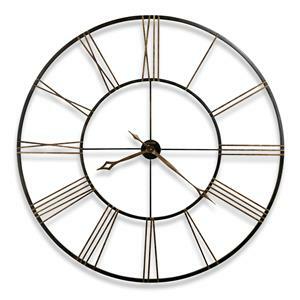 Make your home something special with help from this wall clock. 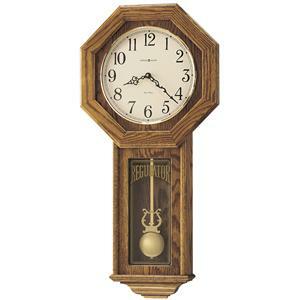 The piece carries a Golden Oak finish and features an arched bonnet and lower door molding while the off-white Roman numeral dial offers serpentine hands. A gold tone design accents the door glass, which frames a polished brass pendulum with a beautiful lyre. 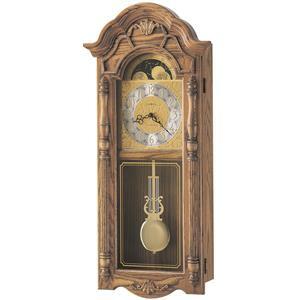 Plus, an open front door for easy access to change the batteries or set the time and reeded columns with brass finished column caps are also included. 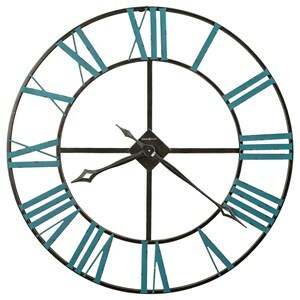 The quartz, dual chime movement that plays Westminster or Ave Maria chimes and features volume control and automatic nighttime chime shut-off option adds function to the stunning style of the piece. 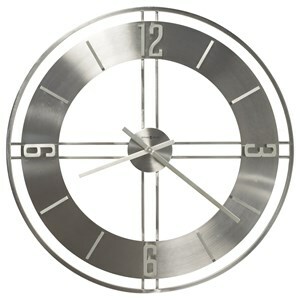 You'll have a lovely addition to your home with this handsome wall clock. 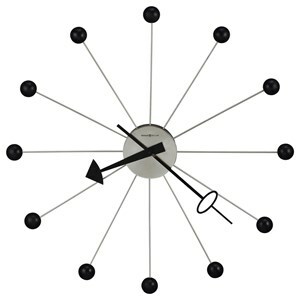 The 620 Lambourn II Wall Clock by Howard Miller at VanDrie Home Furnishings in the Cadillac, Traverse City, Big Rapids, Houghton Lake and Northern Michigan area. Product availability may vary. Contact us for the most current availability on this product. Pendulum Description Polished brass pendulum. 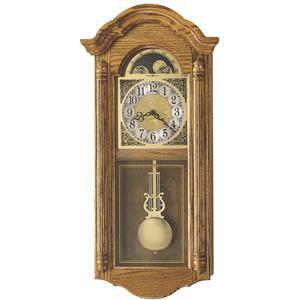 Chime Description Quartz dual chime movement plays Westminster or Ave Maria chimes features volume control and automatic nighttime chime shut-off option. Wood & Finish Golden Oak finish. Case Detail Arched bonnet and lower door molding. The 620 collection is a great option if you are looking for furniture in the Cadillac, Traverse City, Big Rapids, Houghton Lake and Northern Michigan area. 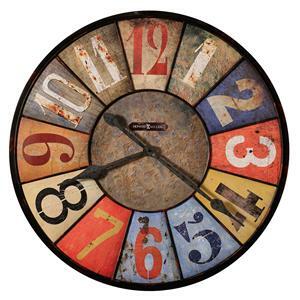 Browse other items in the 620 collection from VanDrie Home Furnishings in the Cadillac, Traverse City, Big Rapids, Houghton Lake and Northern Michigan area.